Have You Sent Out Your Valentine’s Cards? Tick, tick, tick….time’s running out! Someone’s waiting to hear from you. I know you’re busy and I’m here to help. Yeck, I’ll even pay for the card! We have the whole kit & kaboodle right at your fingertips. You can send out cards to all those special people in your life right now, right here. 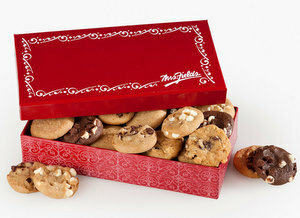 Not only can you send out a card, you can choose a special gift from our large assortment of gifts. We have everything from cookies, candy, stuffed animals and gift cards. Our brownies are out of this world! The first five people who open a free gift account will receive a box. So, fill out the form and pour yourself a glass of milk. Previous post: Now Sending Out Cards Means Huge Savings !